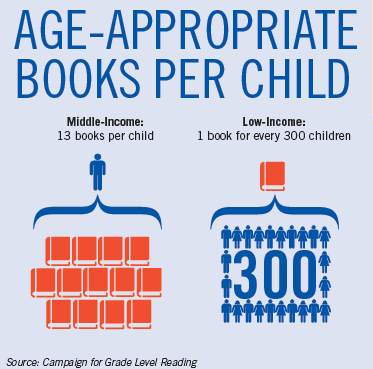 Three years after reading with a Book Buddy volunteer, 10% more students are reading proficiently, compared to their peers not in the program. 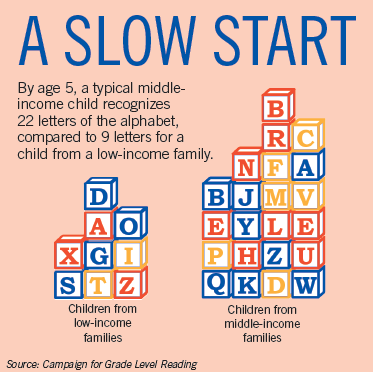 Hundreds of Central Iowa four-year-olds are at risk of not gaining the skills they need to start kindergarten ready to learn, and research shows children who start behind, stay behind. 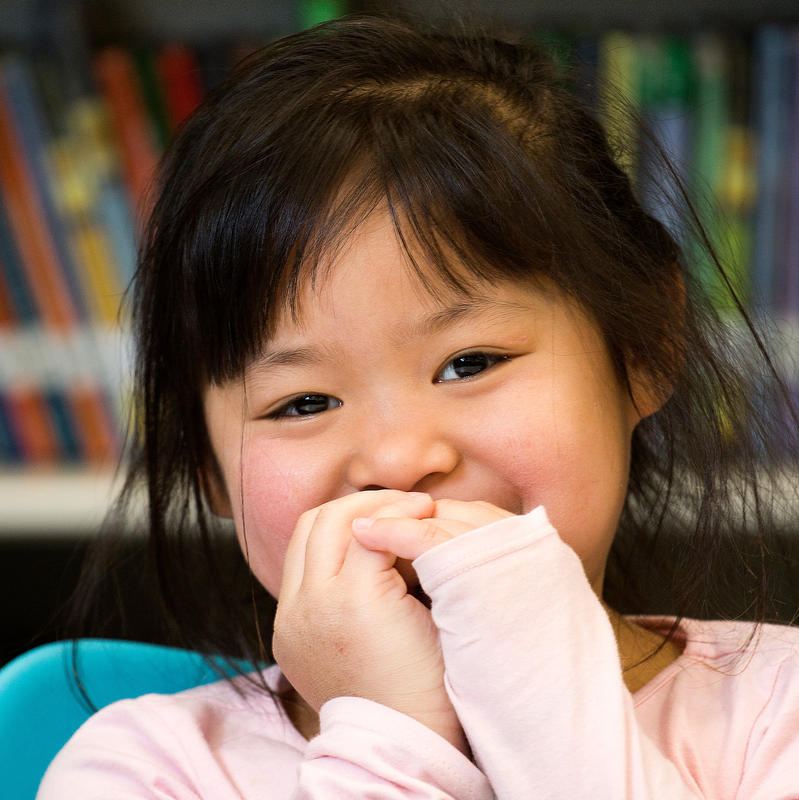 Book Buddy reaches children in the critical year before kindergarten, helping them build the pre-reading skills they need for a strong start in school. For 40 minutes a week, volunteers read one-on-one with four-year-old students at early childhood centers in Des Moines. 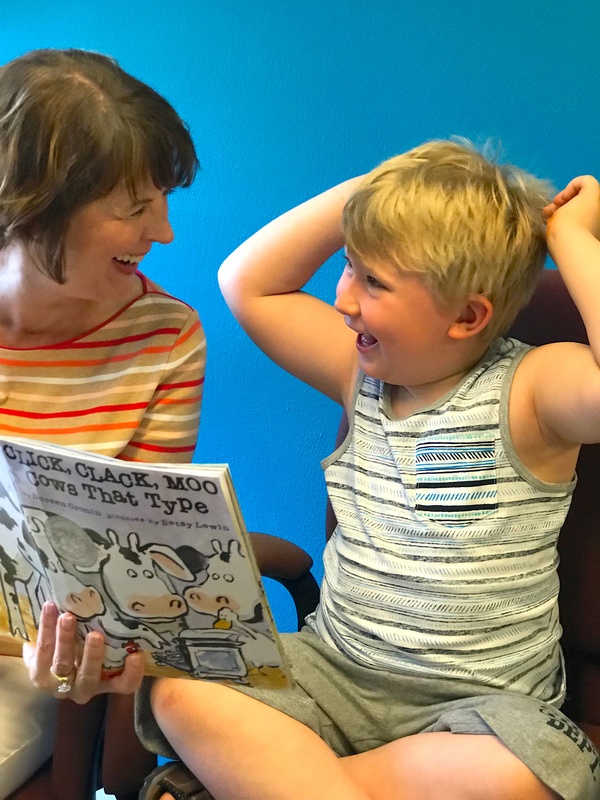 Using an engaging curriculum and library of 25 books developed in collaboration with Des Moines Public Schools, volunteers follow the book insert to teach a specific literacy skill. 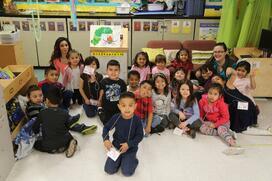 Book Buddy extends learning beyond the classroom to support family literacy. Children bring home their own copy of the featured book every Friday—the start of a budding library in homes where reading materials are often scarce. Student assessment results are compelling—74% showed improvement last year—but the increasing confidence in students is the most convincing of all. Their bright smiles will be the highlight of your week! Book Buddy is at capacity for the 2018-19 school year! If you want to put your name on the list for our spring Book Buddy for a Day volunteer events, as well as notifications for Fall 2019 applications, fill out the form below. You choose the location that works best for you! Some volunteers read every week; others alternate weeks with another volunteer to accommodate busy schedules. Reading begins the week of October 17 and continue through April for a total of 24 weeks with breaks scheduled around holidays and spring break. What's It Like to Be a Book Buddy? This preschooler's life is changed by books. A first-year Book Buddy volunteer shares her experience, which didn't start out too well, but quickly transformed into a special time each week. to be absent from school than their middle-class peers.